Tea unions in the Darjeeling hills have sought a 20 per cent bonus and ex-gratia for the three-month statehood strike last year, threatening protests if the demands are not met. 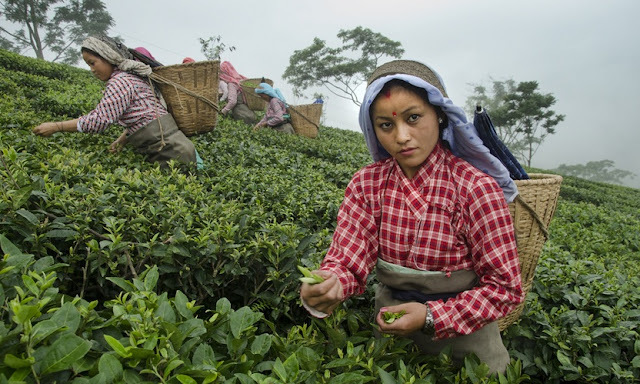 The demand by the Joint Forum — a conglomeration of unions except those of the Gorkha Janmukti Morcha and Trinamul — comes a day after the Darjeeling Tea Association said it was “unable to enter into any negotiated settlement” on the bonus rate for this year. The association indicated that it would only pay bonus at the rate of 8.33 per cent of the workers’ annual earnings, citing financial stress and a “70 per cent drop in production” last year. The gardens in the plains have agreed to pay 19.5 per cent bonus this year. “We will not accept anything below 20 per cent as bonus. Since the government provided salaries to employees during the strike, we demand that tea workers, too, should get an ex-gratia for the three months,” said Sunil Rai, a leader of the Communist Party of Revolutionary Marxists (CPRM). Members of the forum —the CPRM, GNLF and the Jana Andolan Party — had joined the agitation. The forum said the Gorkhaland Territorial Administration, too, should “look to provide the ex-gratia as those who spearheaded the agitation are now at the helm of the GTA”. The allusion was to Morcha leader Binay Tamang, who heads the hill body.